Fly fishing has always been a great father-son bonding experience, but we think it’s more than that. 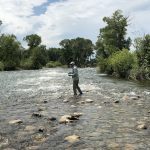 All types of family and friend relationships can bond while fly fishing, and we want to highlight a few things you can learn when you book a fly fishing trip! Spending the day in the Great Outdoors with your friends and family is a great way to get some quality time with your friends and family. 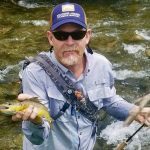 If you’re new to the whole idea of fly fishing, you not only get to know the people around you more, but you get to walk away with an amazing experience. Every fishing group, whether it’s your family or friends, has a variety of skill levels and fishing experience. This provides an opportunity to teach and learn from one another, or all learn together in a positive and uplifting way. The thrill of the catch and the disappointment of missing the one that got away is a great way to bond while fly fishing. Build a positive connection by celebrating together and learning from mistakes. We’ve talked about it before and we will probably mention it again, but fly fishing really is relaxing. Being out on the water makes you forget about the struggles of everyday life. Interacting with nature and the patient casting and reeling clears the mind and helps you reconnect with what’s really important. There are so many reasons why you should go fishing, but relaxing with your family is a great way to bond while fly fishing. Choosing technology over spending time together can be detrimental to a healthy family. The great thing about fishing is that you get to leave all the screens behind and start focusing on personal interaction. You can bond while fly fishing and share lifelong memories that you can’t get while sitting on the couch playing video games or watching tv. Something you learn when trying to bond while fly fishing is that patience really is a virtue. Whether you’re patiently learning how to cast or teaching your kid how to tie a fly, patience is something you’ll need more of on any sort of fly fishing trip. 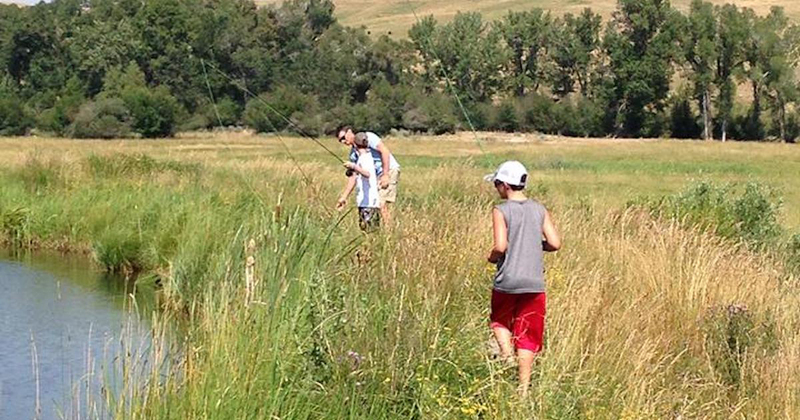 Use this family trip to teach your kids how to not be frustrated with a poor cast or when a fish gets away, and bond with them over their successes. 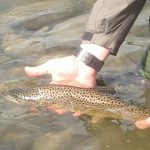 Most fly fishermen are passionate about the environment, and that includes us! 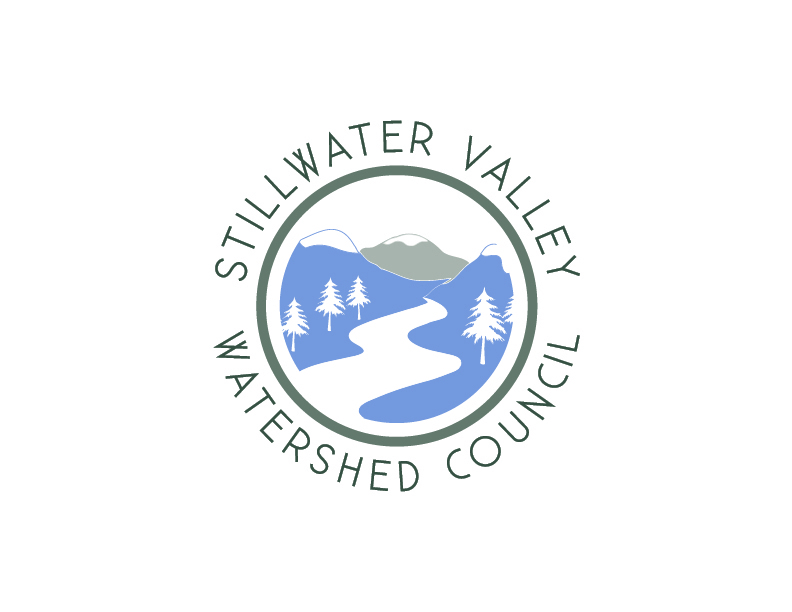 We pride ourselves on putting an emphasis on the preservation and conservation of resources and try to prevent the spread of aquatic nuisance species. When you book a guided tour with us, we can tell you why conservation is so important and how we can all do our part to keep our rivers in top-notch condition. Fly fishing is more than just a patient sport. It’s also a great problem-solving activity, and there is always something new to learn. Fly fishing is a great way to learn some independence and figure things out for yourself. From reading the stream to waiting for a strike, fly fishing boosts your self-esteem and lifts your spirits. 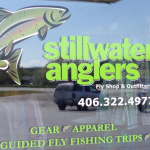 Grab your friends and family and enjoy all the great ways to bond while fly fishing. 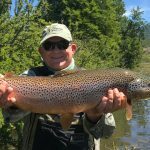 Book a trip with any of our seasoned fly fishing guides and let us show you a trip you’ll never forget. Whether you’re looking to bond with your best buds or experience some uninterrupted time with your family, we have packages that fit every family and group. You could even host your next corporate retreat here!